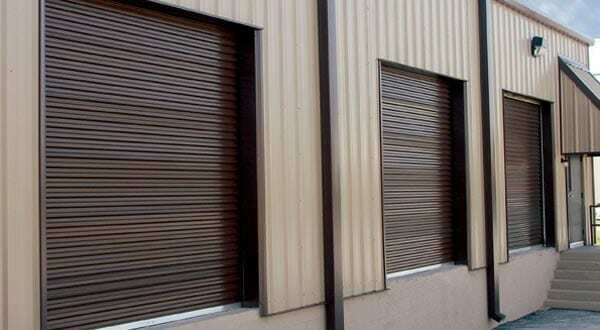 When you need reliable garage door repairs or a brand new garage door for your commercial business, you can depend on Action Garage Door Repair Specialists to provide you with some of the finest products and services in the industry. If your current garage door is busted and you want to upgrade, consider our Amarr garage door model 5601. Here at Action Garage Door Repair Specialists, we are proud to repair or replace any type of garage door you may have. If you decide to have a new garage door installed, the Amarr garage door model 5601 is a great option because it is made from highly durable steel and is designed to accommodate even the busiest commercial buildings. If you have a demanding warehouse or commercial building, this garage door will be able to meet your high cycle requirements with ease. This garage door is truly meant to measure up to the toughest demands of any commercial building. So if shipments are constantly being delivered to and from your commercial building, this is a garage door that can handle the heavy traffic with ease. If your current garage door is not performing as expected, simply give us a call at (877) 392-2590 and we will tell you more about our Amarr garage door model 5601. Action Garage Doors will even repair or replace your old garage door the same day you call!